A project to promote climate ready decision making in a way that incorporates community interests and champions the value of creative approaches to bring about change in Levenmouth has begun. On Wednesday 28 November Creative Industries students from Fife College were taken for a tour of Levenmouth to hear how the area would be affected by impacts such as flooding and sea level rise predicted in the latest UK Climate Predictions report, as well as ambitious regeneration plans for the area including the River Leven Catchment Project. On Friday (30th November) the students will present their visions for future Levenmouth to a panel including the Levenmouth Adapts project team. This marks the second phase of the creative engagement with Levenmouth Adapts, a partnership project between Creative Carbon Scotland working with artist Natalie Taylor, Adaptation Scotland and Fife Resource Solutions. 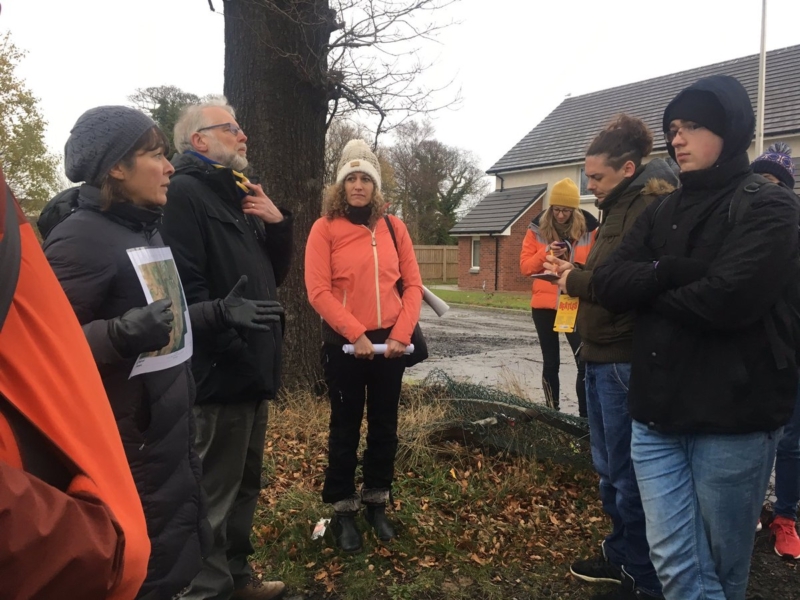 The Levenmouth Adapts project aims to promote climate ready decision making in a way that incorporates community interests and champions the value of creative approaches to bring about change. 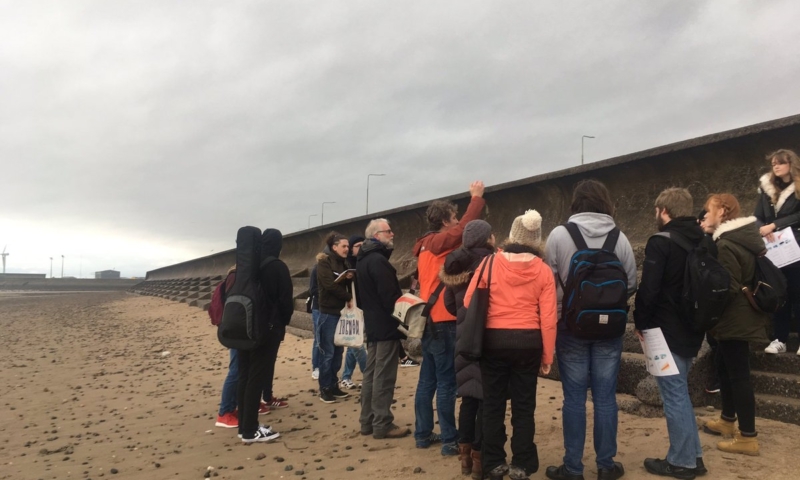 Taking place over eight months, Levenmouth Adapts will help decision makers and those living, working and studying in Levenmouth to gain a better understanding of how climate impacts will affect the area. A creative practitioner will support this process by helping to find new ways to think about climate impacts and encourage imaginative responses. Opportunities will also be created to work directly with young people living and studying in the area, helping them to understand climate readiness and how to achieve it. 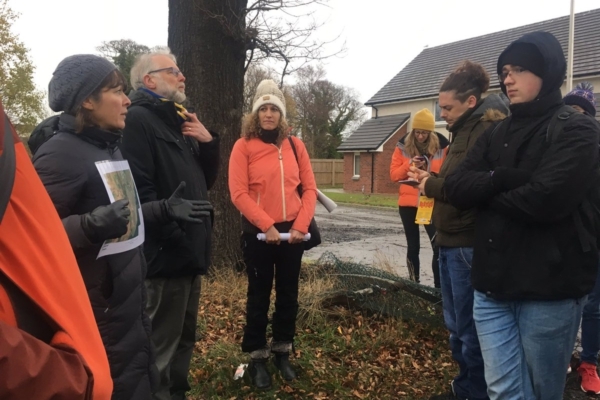 After the project, decision makers and the local community will have a better understanding of how climate change will impact their local area, and understand how future plans and responses can build climate resilience. The learning from this short term project will have longer term value, and will be applied to ongoing engagement with Levenmouth.